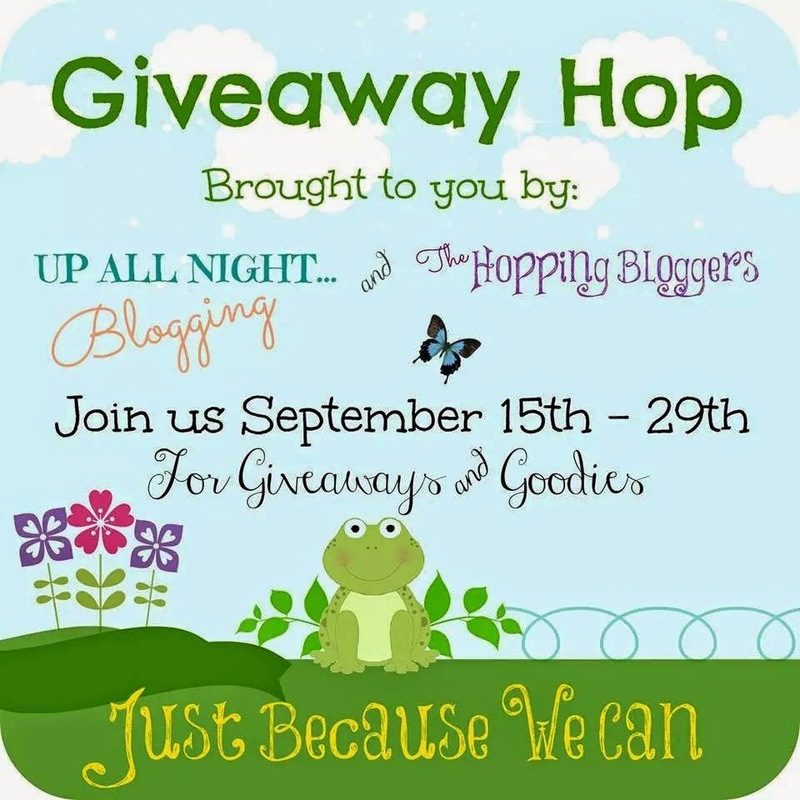 Welcome to the #JustBecause We Can Giveaway Hop, brought to you by The Hopping Bloggers and Up All Night Blogging! We are a group of bloggers that specialize in giveaway hops - so stay with us and you will have many chances to win some amazing prizes! Each of the bloggers participating in this hop has a giveaway with a prize value of at least $20 - and some are much more than that! Be sure to visit them all - there is no limit to how many prizes you can win! Good Luck and Have Fun! Enter to win below! Don't forget to Hop Along to the other #JustBecause We Can Giveaways! Also join the twitter party on September 15th for more prizes!